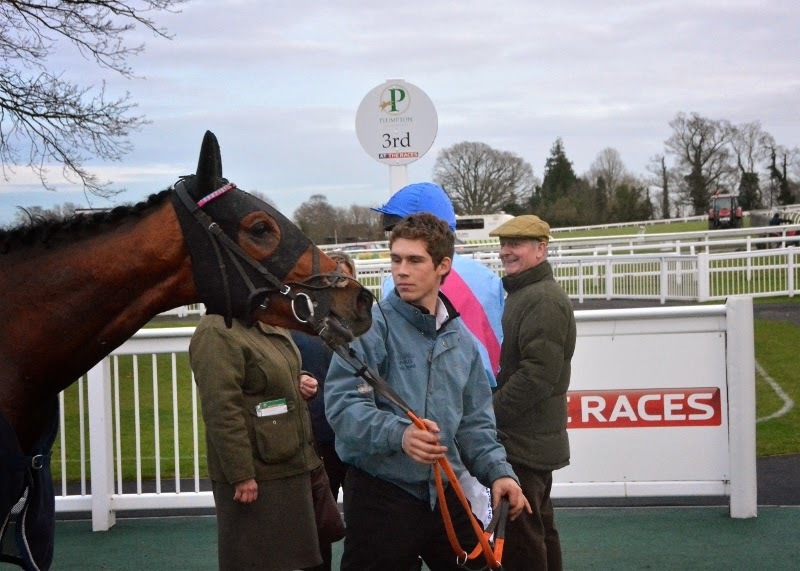 Maccabees finished 3rd in the closing race at Plumpton on Monday 15th December tempering earlier disappointments. 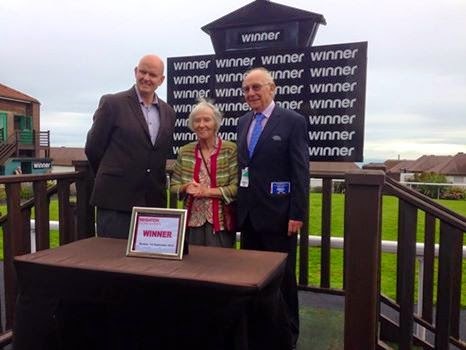 The day had begun with Priors door having his first race under rules. He jumped well but eventually the testing conditions and his inexperience took their toll and he was sensibly pulled up two out. Still a pleasing debut. 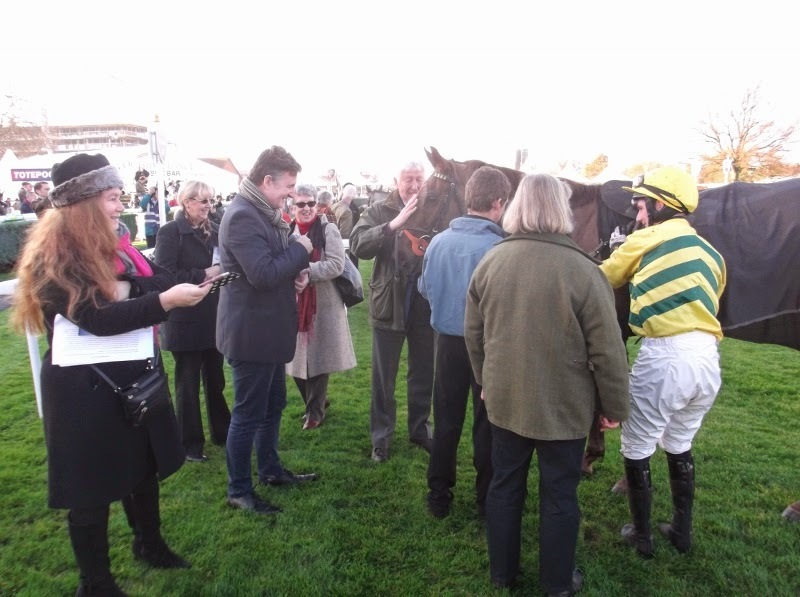 Then Itoldyou was sent off favourite in the extended 3 mile handicap chase. However a fall at the 4th fence ended his race, though it was pleasing to see it did not dent his enthusiasm as he completed the remaining 2 and a half miles riderless and enjoying himself. 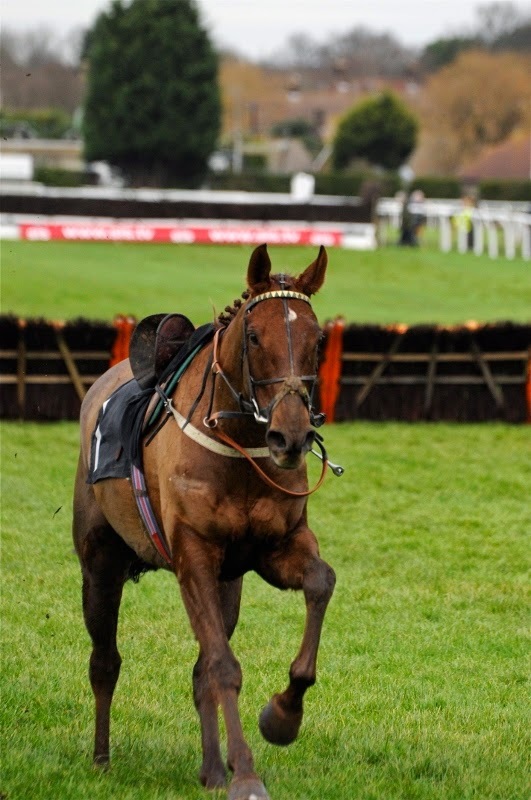 Then it was Red Anchor's turn in the 2 and a half mile handicap chase. He didn't seem quite himself and was losing touch with a circuit to go so Andrew Thornton pulled up down the back straight. 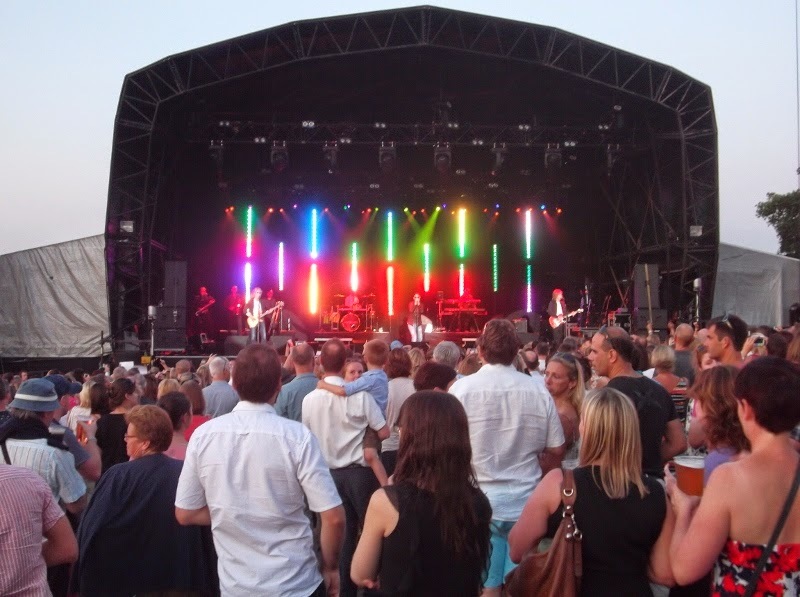 So with three runners and no completions it was left to Maccabees to put some gloss on the day. 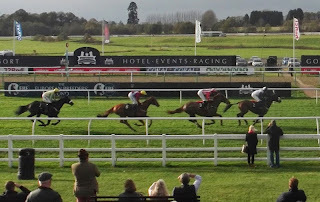 In the 2 mile handicap hurdle, and ridden by Thomas Cheesman, he tracked the leaders for the first circuit and a half. 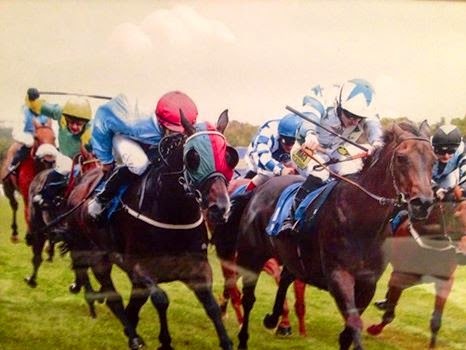 He was asked for an effort three out but could not make ground on the two horses in front. He did however keep going all the way to the line and was able to hold on to third place, making the journey home more pleasant. 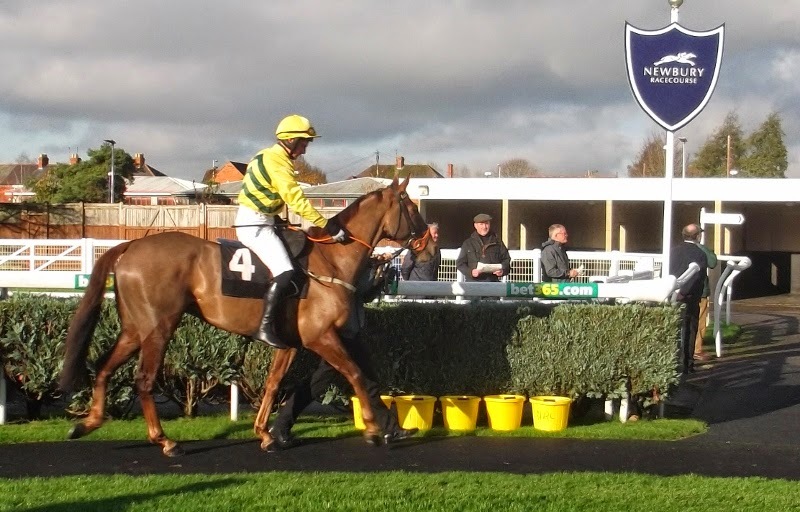 In a competitive race at Newbury today, Itoldyou started the 5/1 4th favourite of the five runners in the 3 mile 2 furlong amateur riders handicap chase. 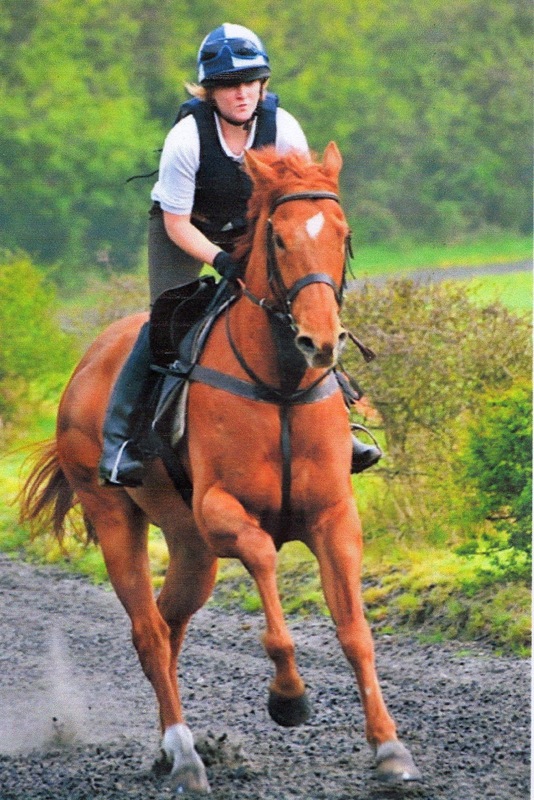 It was a step up in class both in terms of opposition and fences so in many ways was a test of his abilities. Jockey Danny Burton dropped Itoldyou in at the rear as the field set off on the soft ground. He jumped well on the first circuit but he was hampered by an unseated rider at the first in the back straight on the second circuit. It seemed to affect him as he made mistakes at the next two fences. He stayed last of the four remaining runners until entering the home straight where he was given a reminder by the jockey. He responded to this and took the lead over the big open ditch three from home. He was a little untidy at the last two fences but still held the lead. 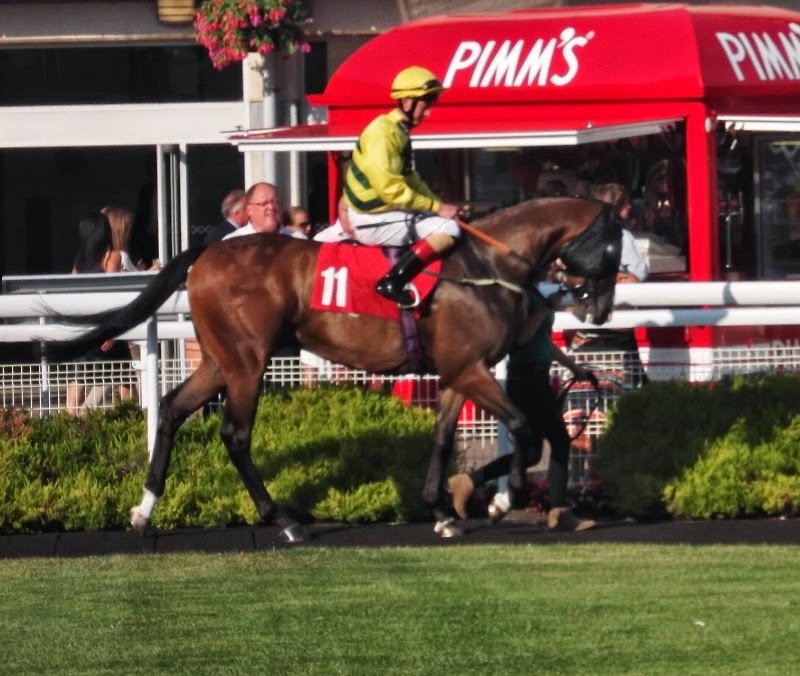 After the last the favourite got up and passed him but he kept going to hold onto second place, one and a quarter lengths behind the winner and a length and a half ahead of the third. 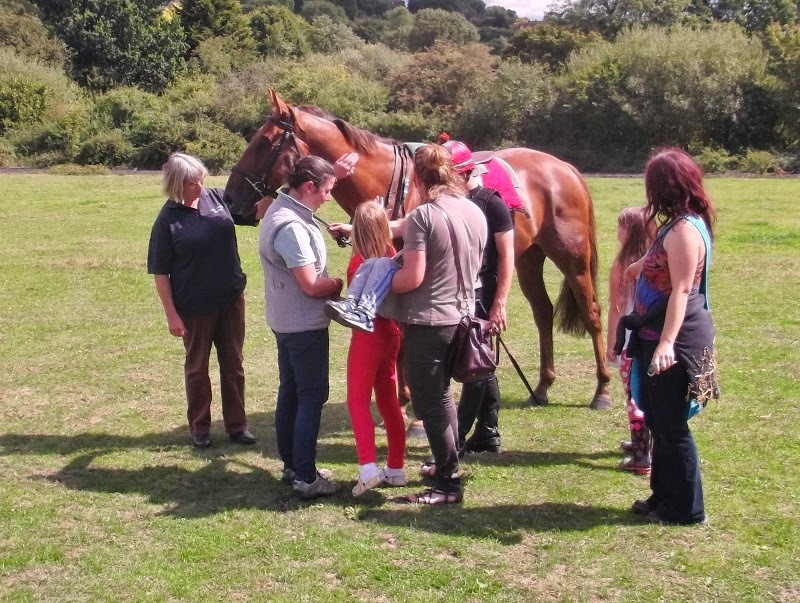 He earned over £1700 for his owners , Valence Racing Too, in this Class 3 race and gave them a great day out. 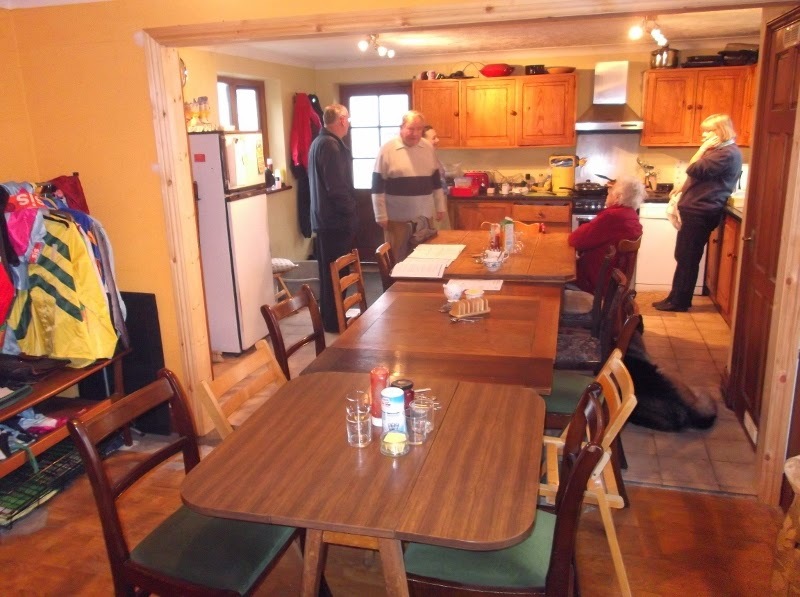 It has long been rumoured, but now the Saturday owners' breakfast group will have more room to indulge themselves as the connecting wall between the kitchen and mini lounge has been knocked through creating a much larger eating area. 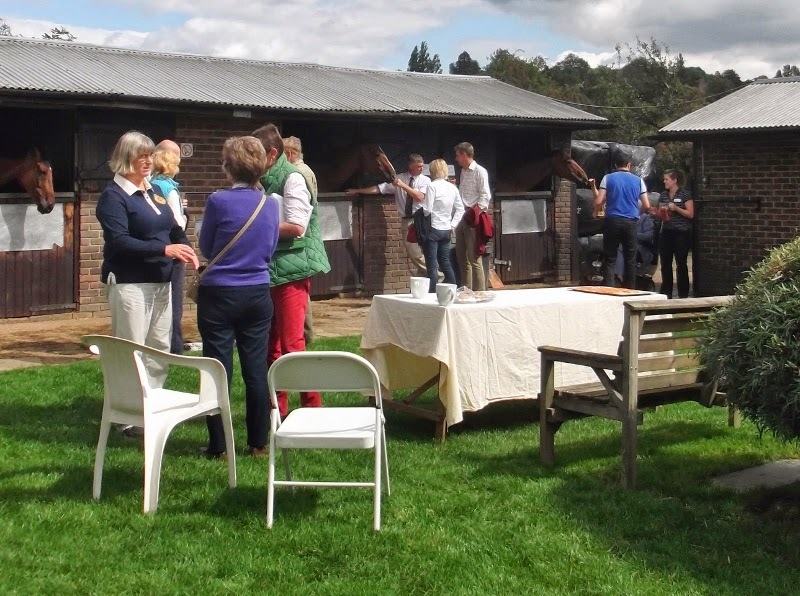 Not only is there more room to move around, eat and chat, it means that the staff can now breakfast with the owners, adding to the information about their horses and expanding the general banter. Of course it does mean that owners can monitor the calorie intake of the riders before they mount up! Ginger Puts Smiles On Faces. 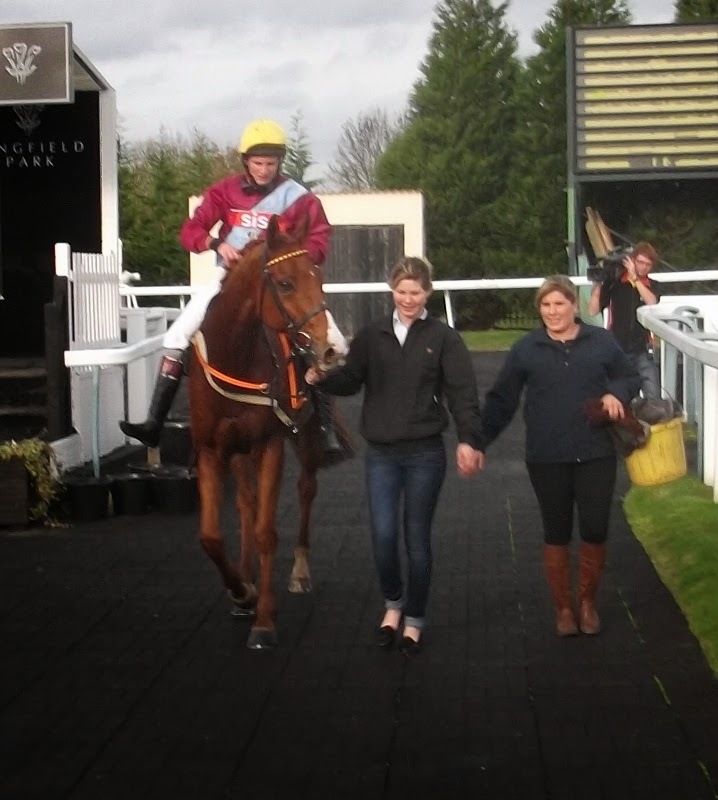 Red Anchor (stable name Ginger) showed a return to form today when finishing 3rd in a handicap chase at Lingfield. After his problems last season it was great to see him racing with enthusiasm and attacking his jumps again. 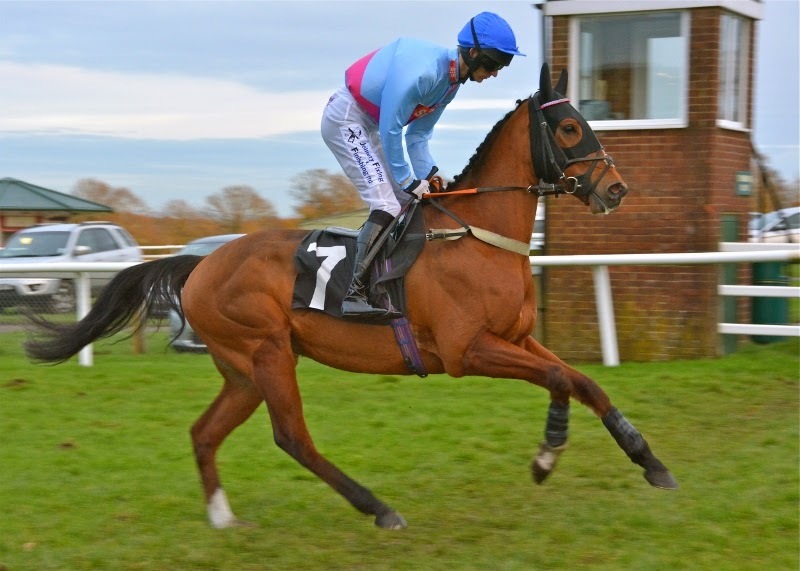 Ridden by Jamie Moore, he set off third of the field of four runners in the 2 and a half mile event. He moved up into second going out on the final circuit and held this position until entering the home straight where he was challenged for the position. 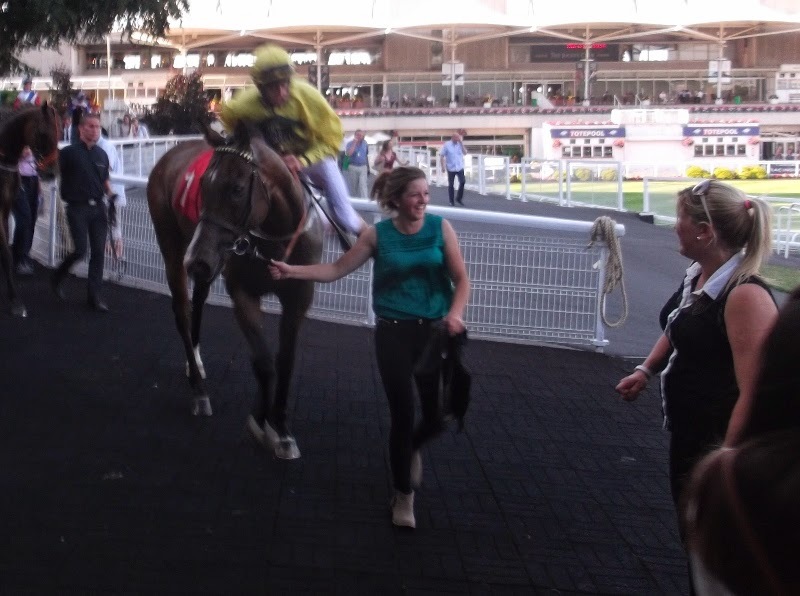 His lack of a recent run began to tell, but he continued gamely to hold on to his third place, just 16 lengths behind the easy winner, and demonstrate that he is back to his old self, putting a smile on the faces of all his connections. Ginger in 3rd passes the stands on the first circuit. Ginger returns to the unsaddling enclosure. 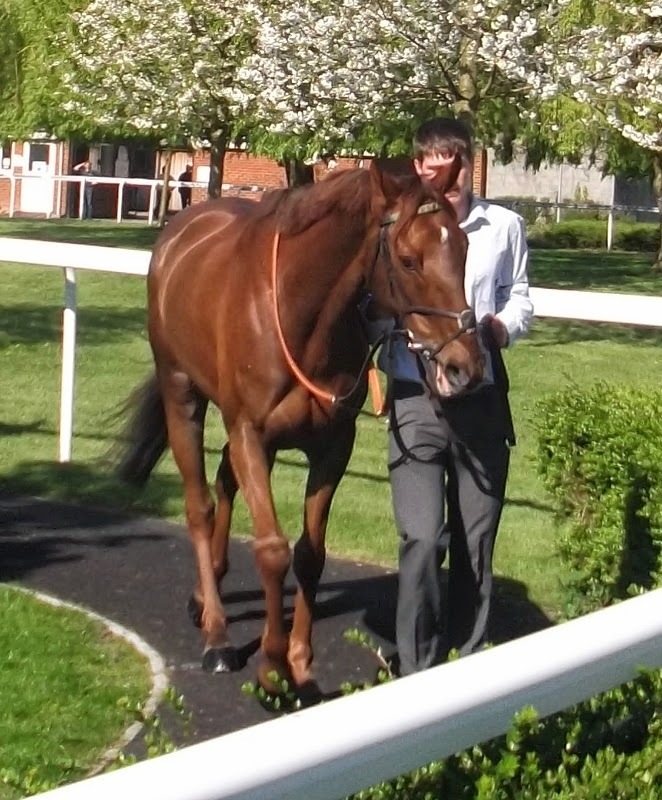 Itoldyou had his first race after his summer break today and looked pleased to be back. 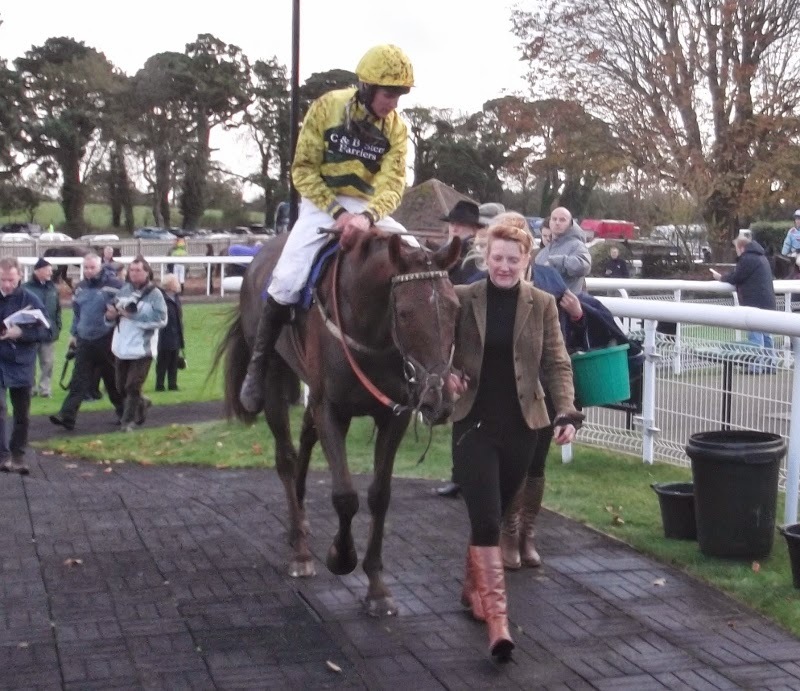 In a 2 mile 6 furlong handicap chase at Fontwell, ridden by Tom Cannon, he was held up in the rear for the first circuit before moving up with a mile to go. He chased the leader from the 5th last fence but he couldn't find enough to get upsides. 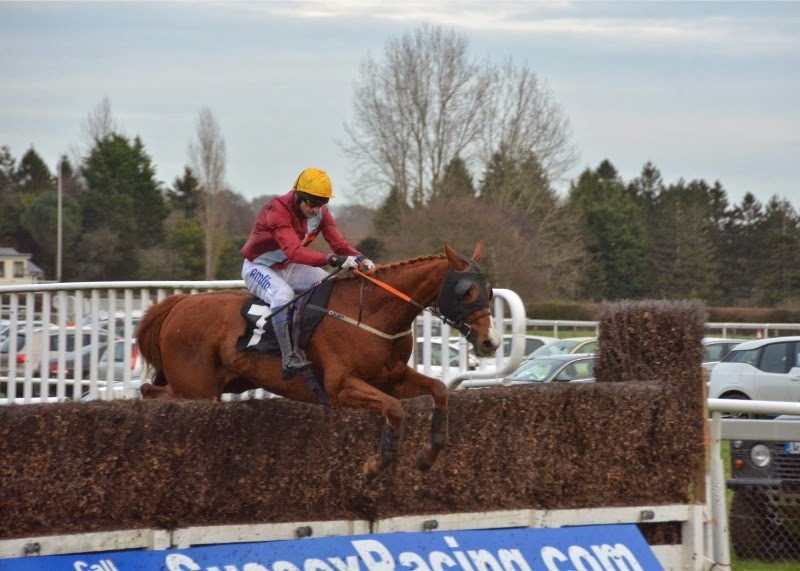 He began to stay on again after the final fence and held on to second place just under 2 lengths behind the winner. A very satisfactory reappearance that made his connections very happy. Back to the sands, back to winning ways. Kingscombe returned to Southwell, his favourite course, and made it seven wins from eight starts at the Nottinghamshire track. Drawn widest of the six runners in a class 4 handicap over 2 miles, he raced on the outside in the early part of the race under jockey Robert Havlin. He tucked in to 4th position, tracking the leaders, going out on the final circuit. He was asked to move up when nearing the far turn and made smooth progress on the outside of the favourite rounding the bend. 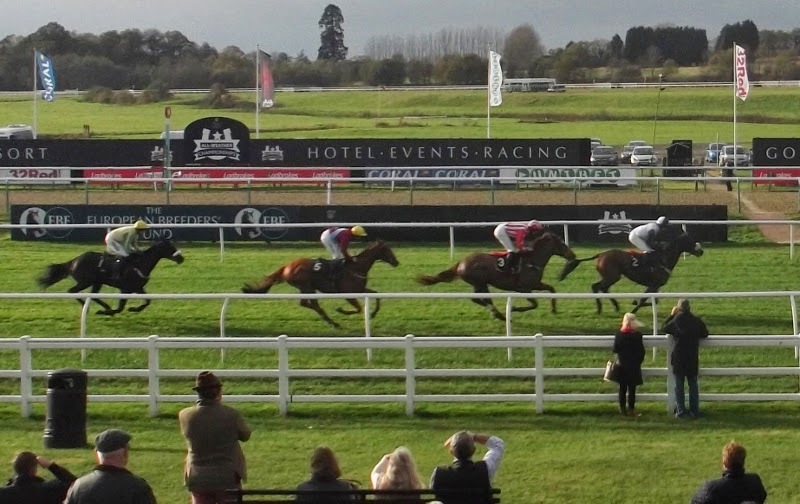 The two then had a battle royal up the straight with Kingscombe coming out on top at the line to win by a neck, with another 14 lengths back to the third placed horse. 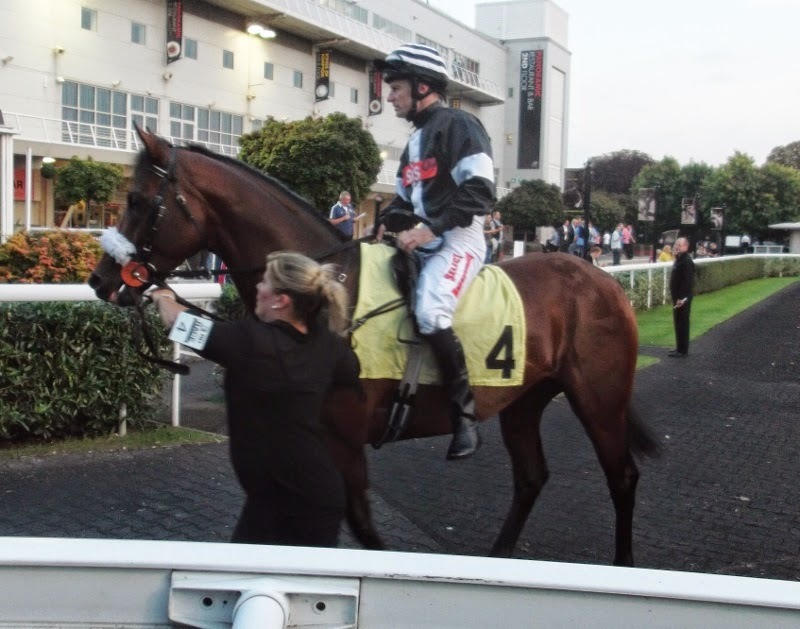 Claude Greenwood earned more prize money today when he finished third in a 1 mile 2 furlong handicap on the all weather at Kempton. In a field of fourteen he was ridden prominently by Charles Bishop from the off and was in a good position entering the home straight. 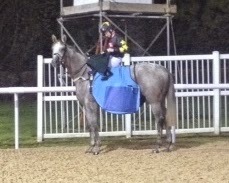 He made an effort to press the leaders at the 1 furlong pole but could not match their pace in the final 100 yards. At odds of 20/1 this was another good effort from a horse that has been consistent in his grade this season. 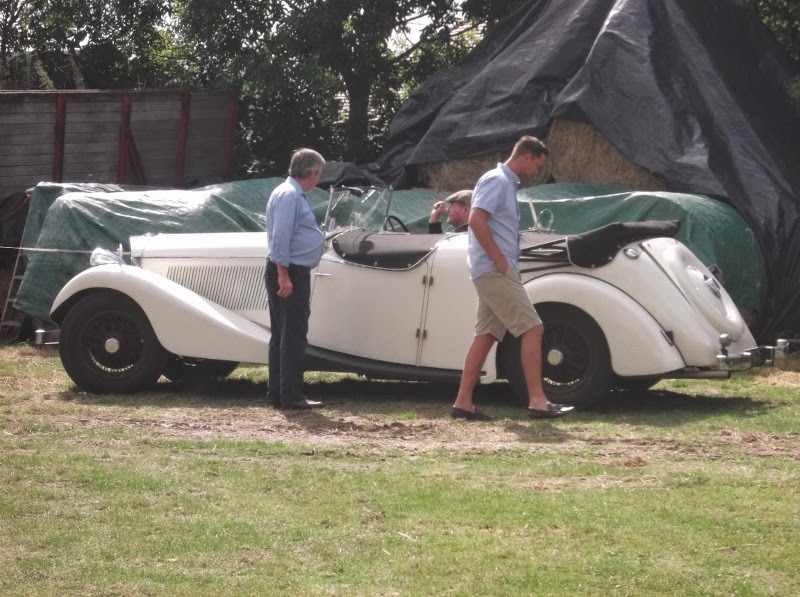 The number of Saturday breakfast owners visiting the hill increased in the beautiful weather. First the flat horses worked, then it was back to the yard for breakfast. Then it was a return to the hill for the National Hunt horses. 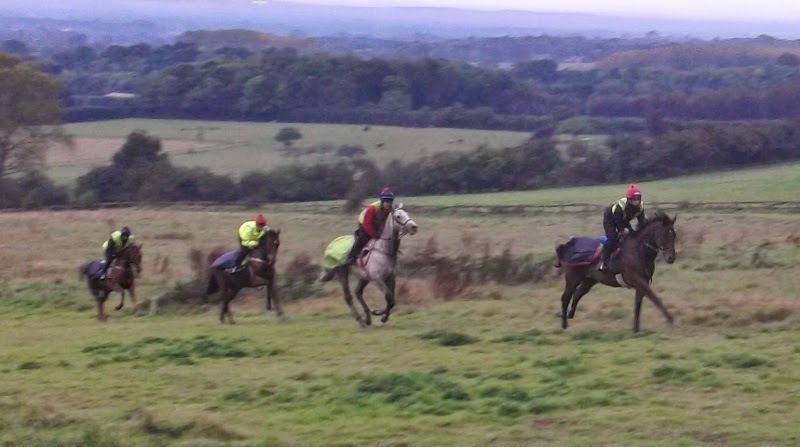 The arrival of the heavy rain this week has allowed the horses to use the hill gallop again. 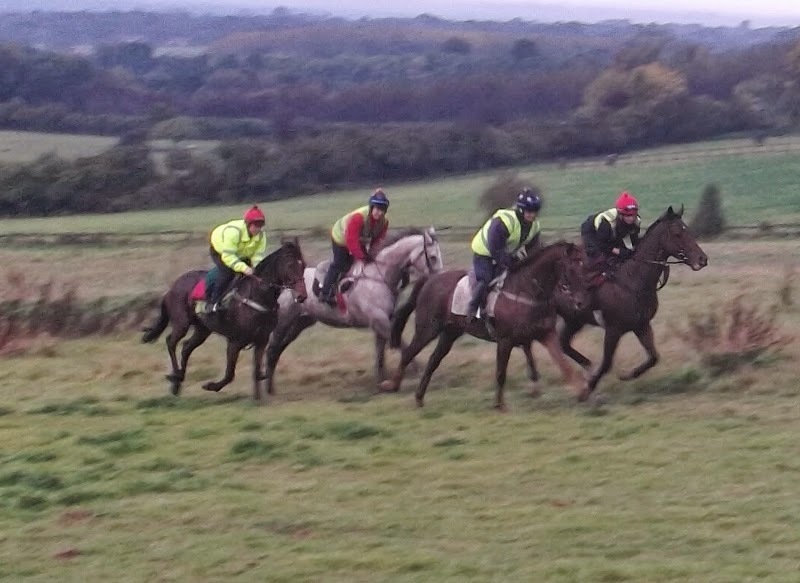 It was good to see them working up the centre strip this morning in proper National Hunt weather. Great start for Winter Menu. No, Winter Menu is not a new horse in Linda's yard, it's just that the Saturday breakfast fare has switched from summer continental to traditional winter English. And what a good breakfast it was. 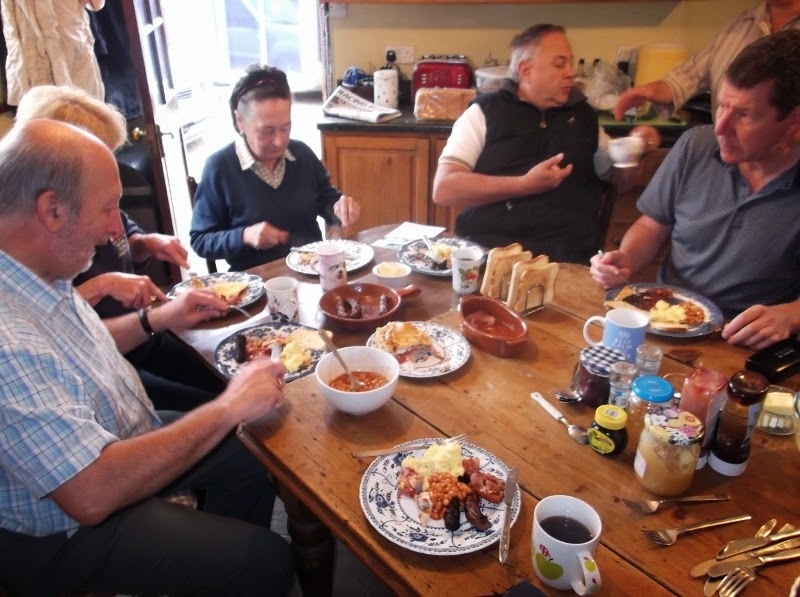 After watching the first lot work on the track, those owners present made themselves comfortable in the kitchen with mugs of tea and coffee while sausages (pork & beef), scrambled eggs, bacon, baked beans and toast were served, but the star of the feast was Yorkshire Breakfast Pie (pictured below) baked by John's wife Linda. 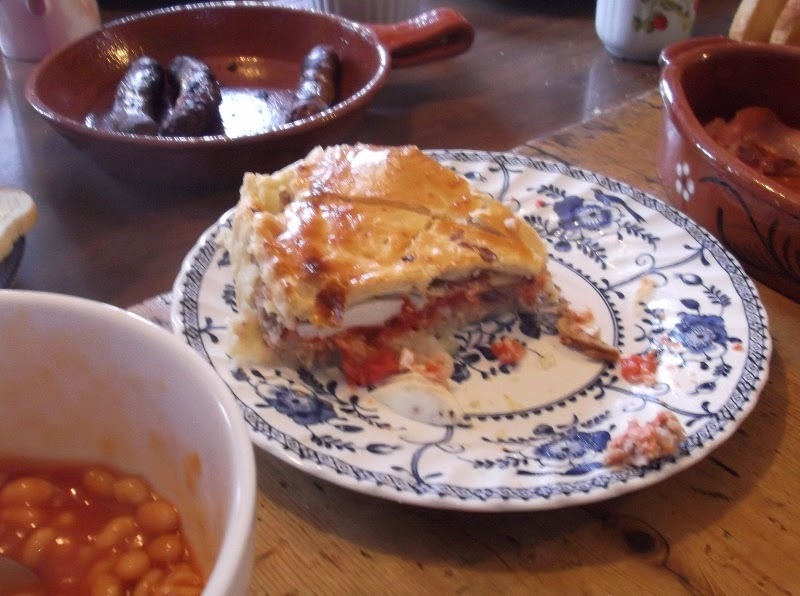 This contained egg, tomatoes and sausage meat on a bed of onions encased in delicious pastry. 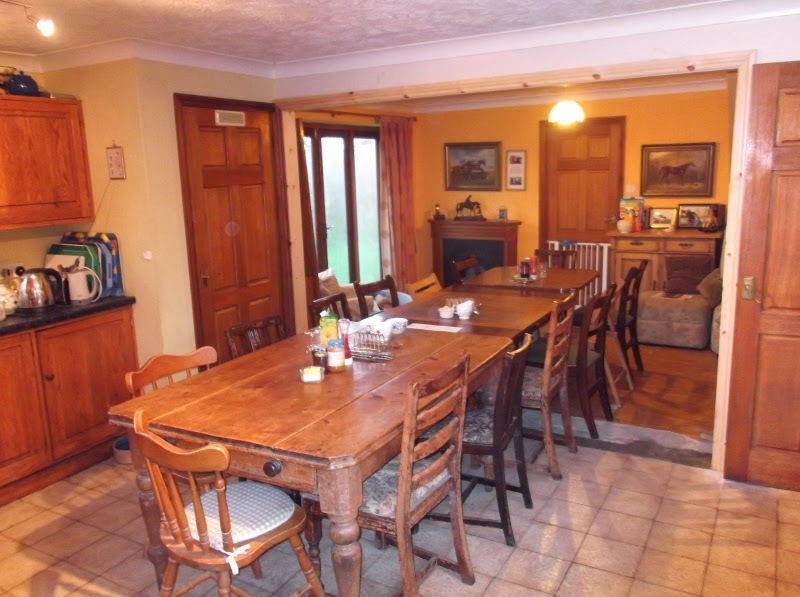 Those that had room were able to follow up with home made flapjacks and chocolate covered ginger shortbread, courtesy of another of the owners. The chat was enthusiastic as plans were made and memories recounted. 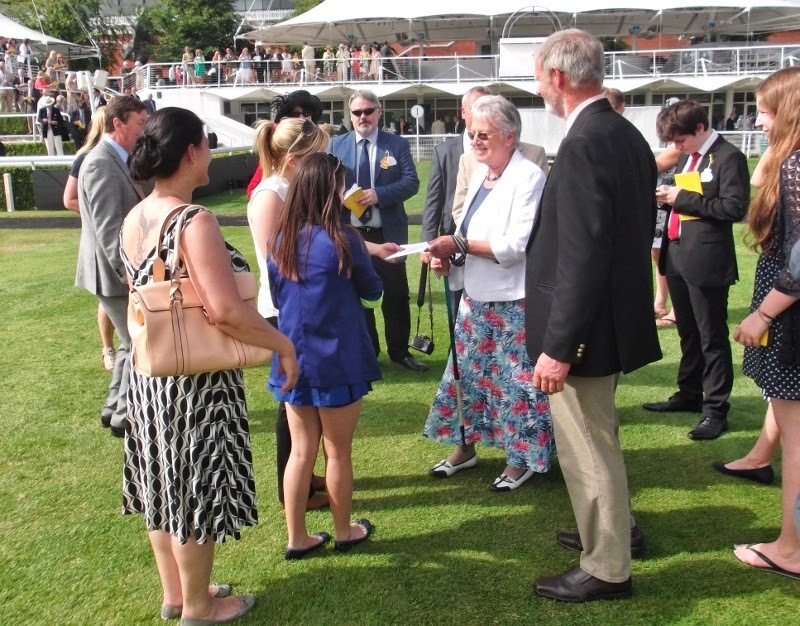 After breakfast owners went back to the track to watch the second lot or to the boxes to view and pat their own horses. Saturday mornings look as if they will continue to be very popular in the coming months thanks to Linda's patience and hard work over a hot oven! 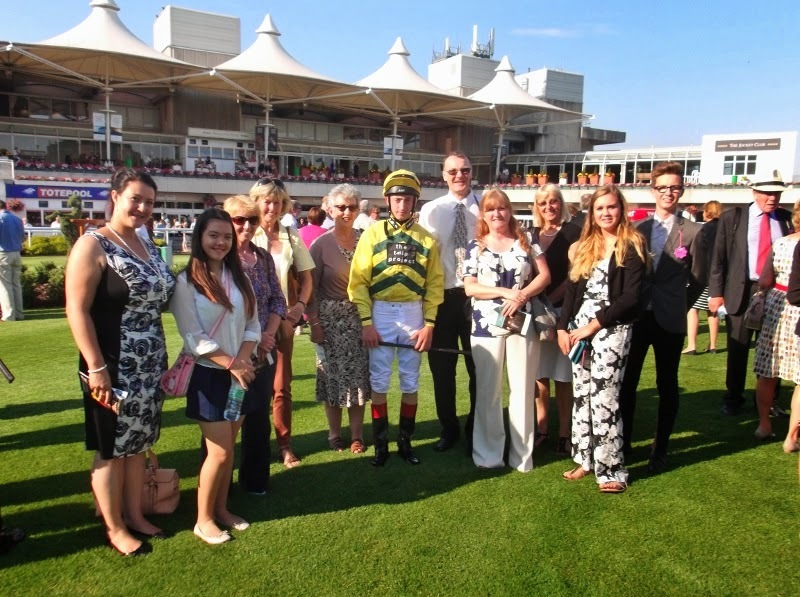 Two groups of Linda's owners enjoyed a pleasant evening's racing at Kempton Park. 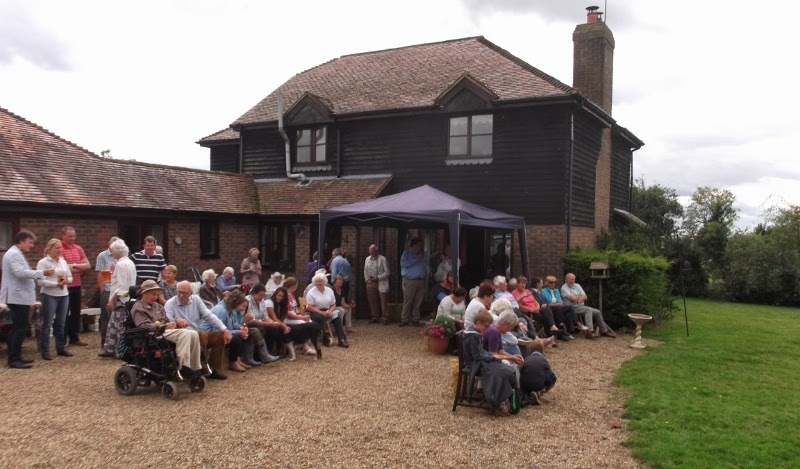 Fine Tune and Mad About Harry were both running in maidens after some time off, and while they were doing their best expectations were not particularly high and it was an opportunity to savour the racing on offer without the nerves of anticipation. 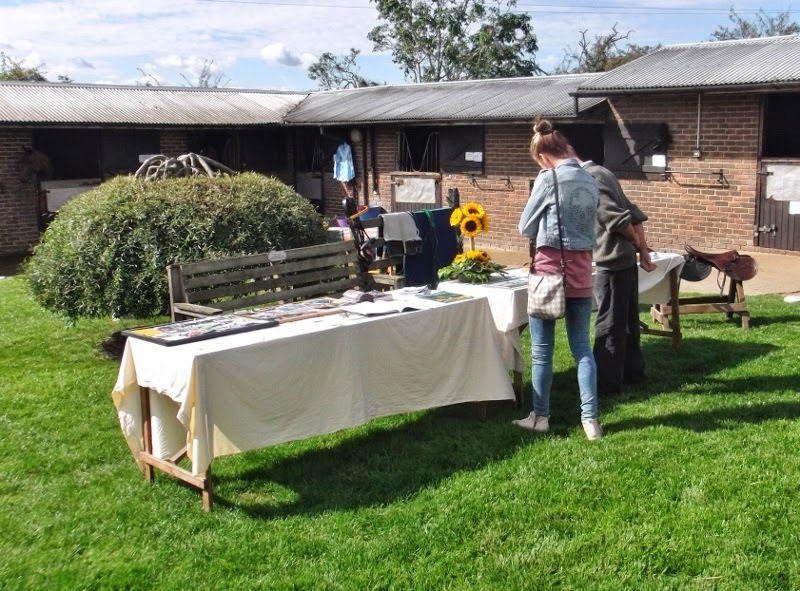 The Owners & Trainers bar and terrace offered those attending excellent facilities both in viewing the parade ring and horse walk and complimentary food and drink. 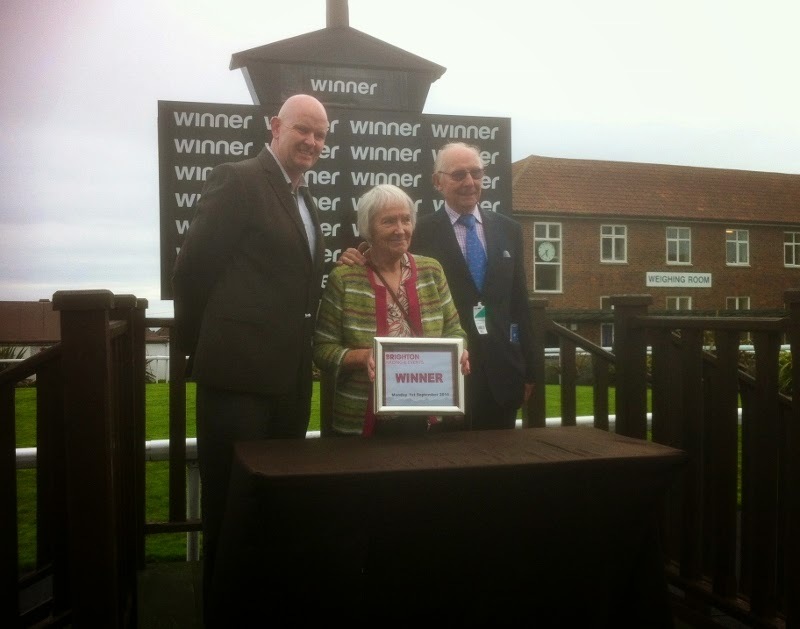 First to run was Fine Tune for Rosemary Watson. 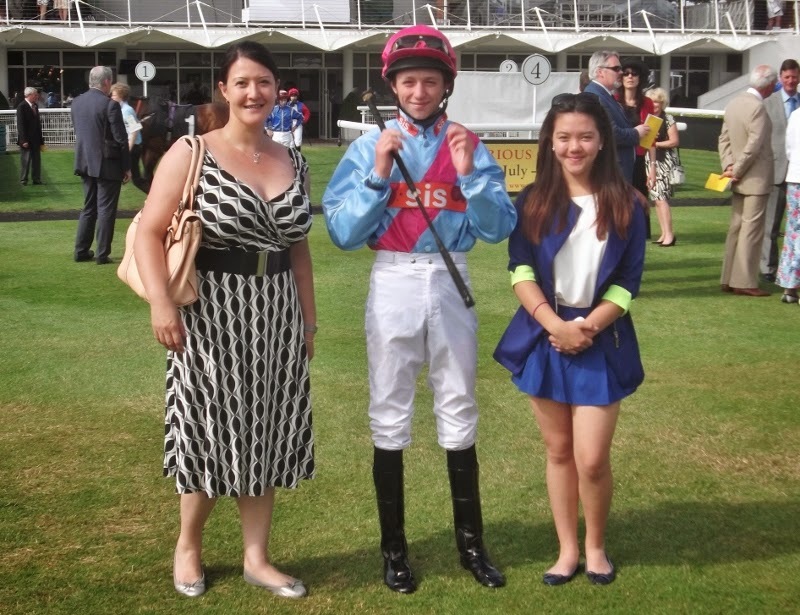 Although he finished well behind, Linda learnt a lot about him and better things are expected when he starts running in handicap company later on. 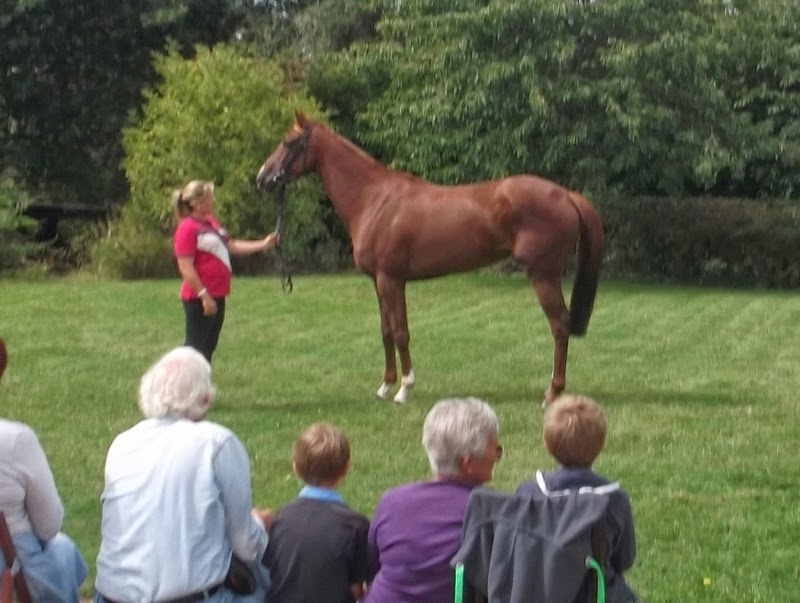 Next to run was Mad About Harry for Valence Racing and nine supporters had turned out to cheer him on. 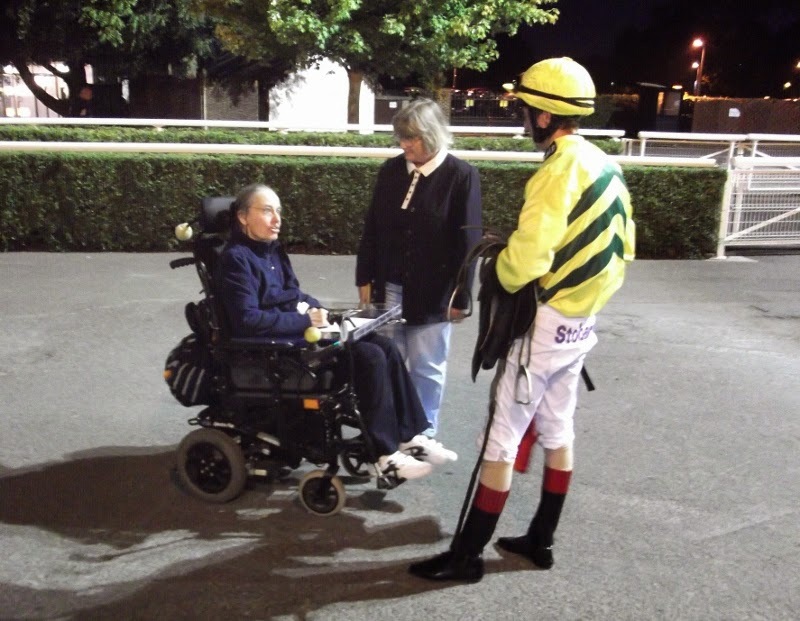 Again Linda learnt more about him from watching the race and from the input of jockey Daniel Cremin, who was good enough to give feedback later to a disabled member of Valence Racing who could not get to the unsaddling area. 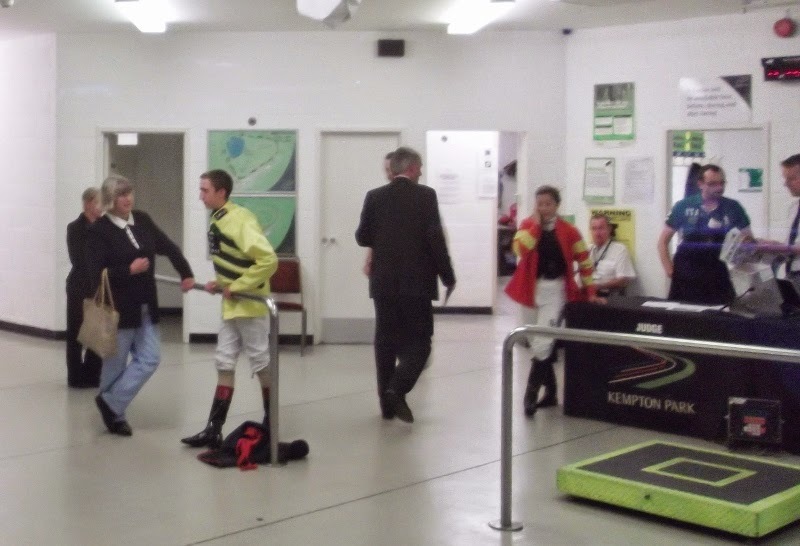 Linda talks to Daniel Cremin in the weighing room before the race. Daniel and Linda give feedback to Penny after the race. 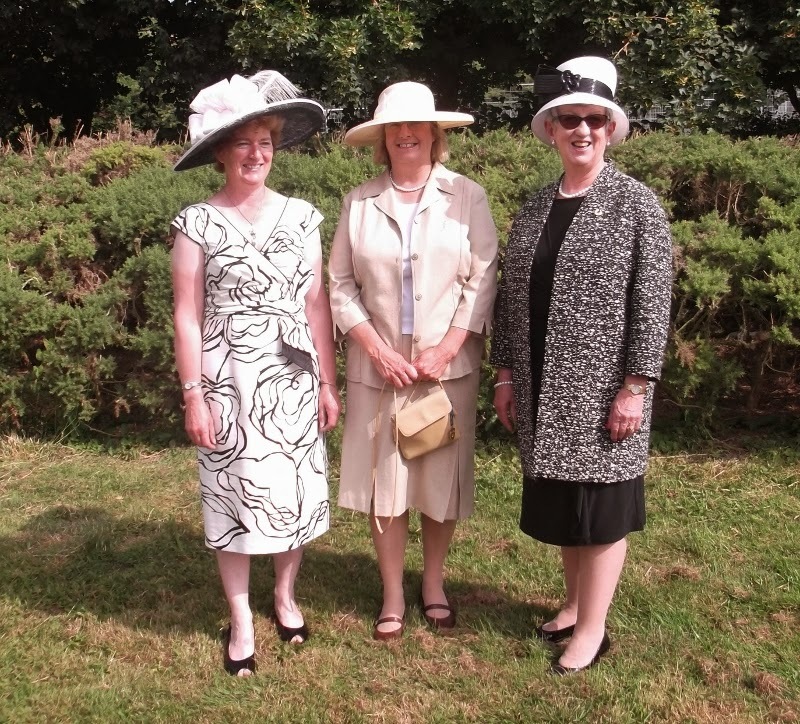 Everyone had a very enjoyable time and the efforts made to accommodate the owners by both the racecourse and the two jockeys were much appreciated. Claude loves that sea air! 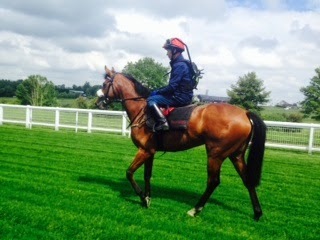 Claude Greenwood returned to Brighton today, the scene of his recent triumph. He was ridden by Cam Hardie who had him prominent throughout the race. 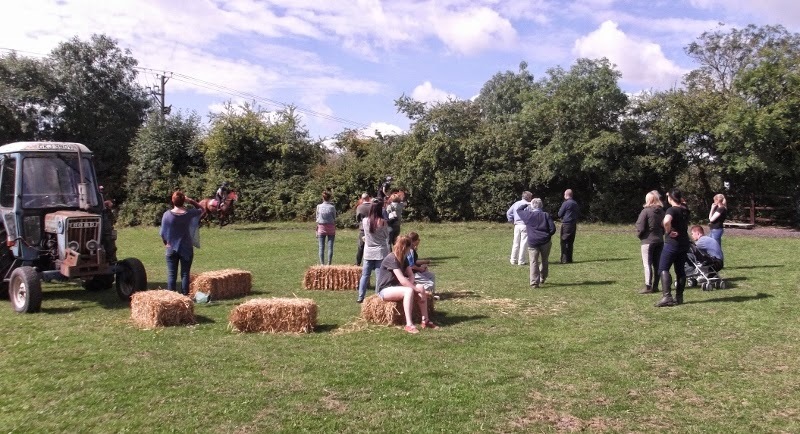 There were several still in with a chance entering the final furlong and, while he couldn't quite overtake the leader, Claude took second place just three quarters of a length behind and a head in front of the third. Each way backers would have been pleased with the odds of 8/1. 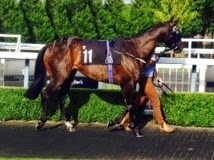 Kingscombe travelled to Kempton today to race again after a short summer break. His travelling companion accompanied him. Spot the difference! In the race Kingscombe finished 5th and with luck it will have sharpened him up for next time. His companion is already looking forward to another day out. 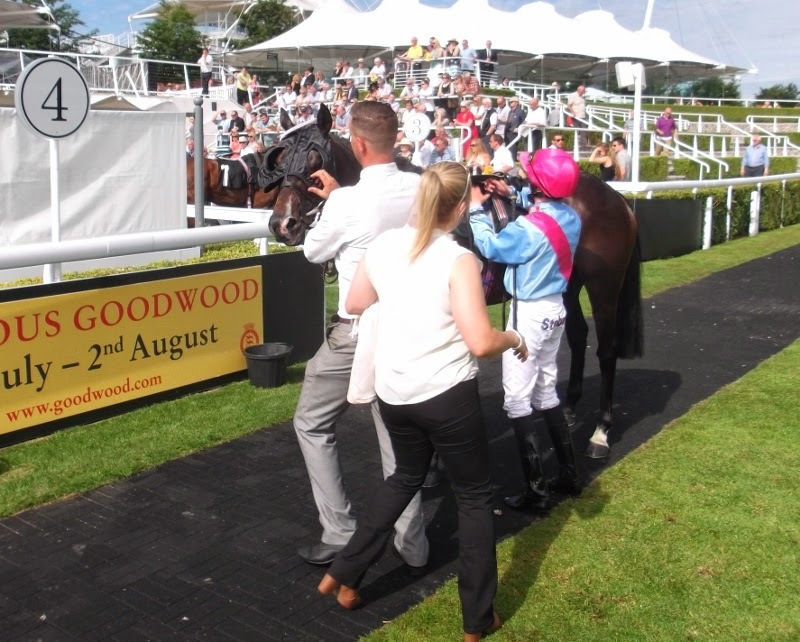 Claude Greenwood at last got the victory he deserved when winning a mile handicap at Brighton today. Ridden by 3 pound claimer Charles Bishop, he got out from the stalls quickly and set the pace. He moved across to the stand rails entering the finishing straight, still in the lead. Though some of the field were struggling there were still a half dozen who looked a threat, but Claude bravely held them all off winning by a head at the line from the favourite at rewarding odds of 14/1. 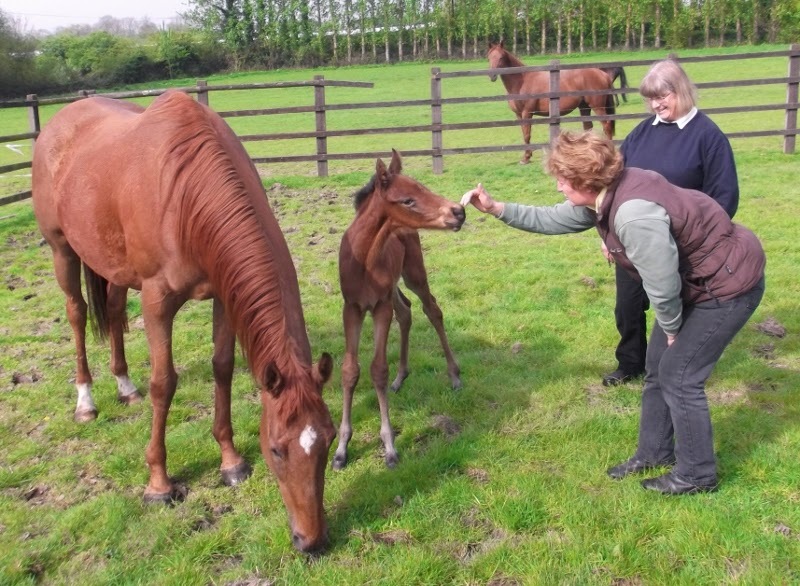 Linda can finally sleep soundly at night again now that the last of the mares has had her foal. 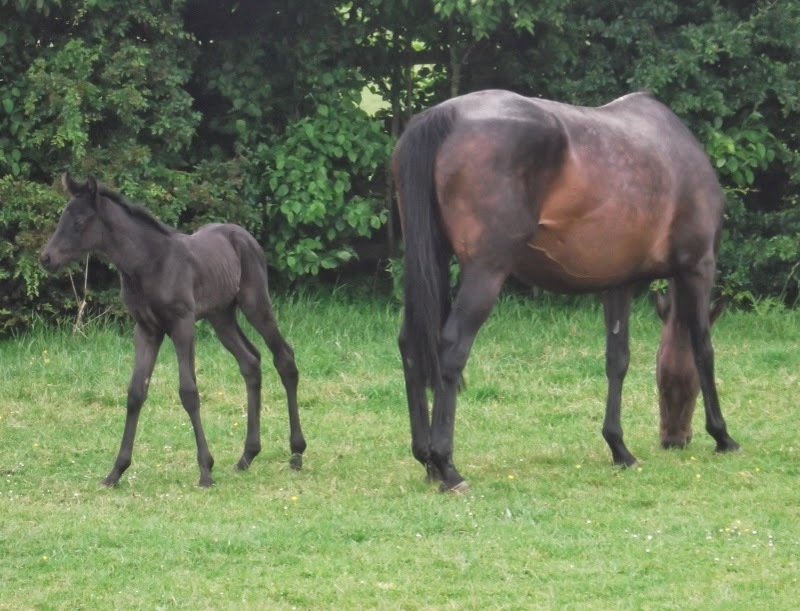 All the foals are fit and well and are enjoying the freedom of the paddocks. This morning (Saturday 10th May) breakfast was a little different. 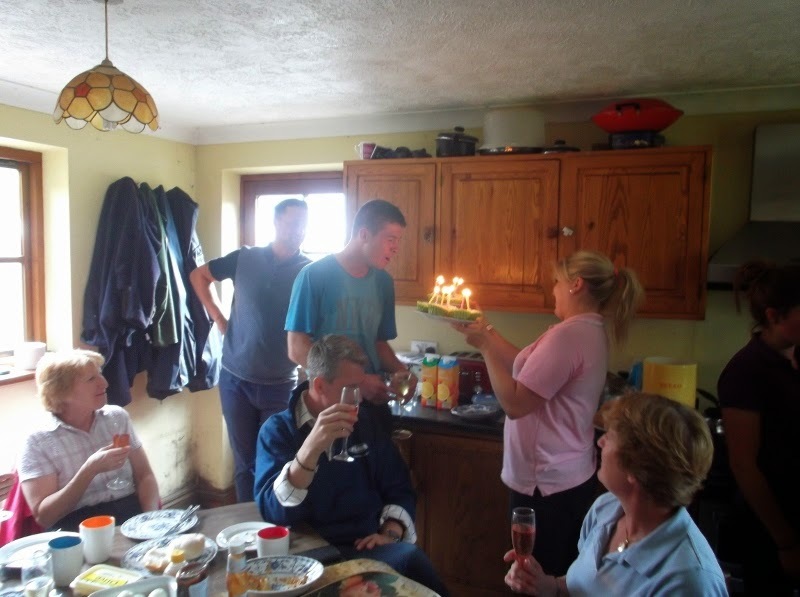 As well as eighteen people, for which Linda catered very well, it was birthday time. 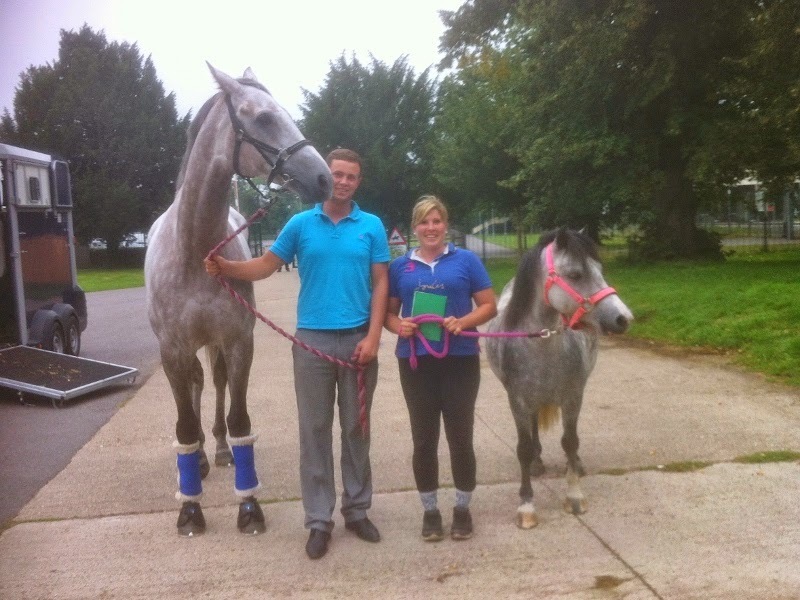 The celebration was shared by I'm Lucy, Rosemary's horse, and Katie, stable lass. 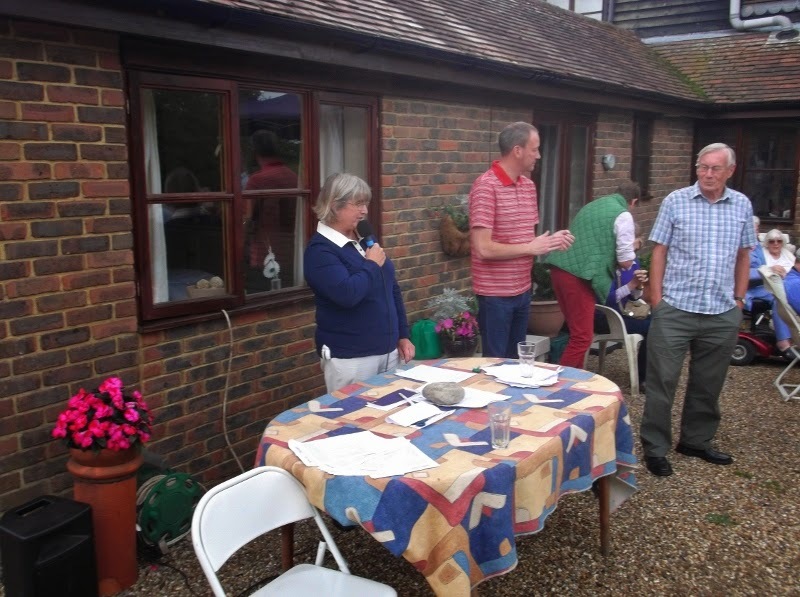 Rosemary provided the cake, three candles for three year old Lucy, and traditional songs were sung. 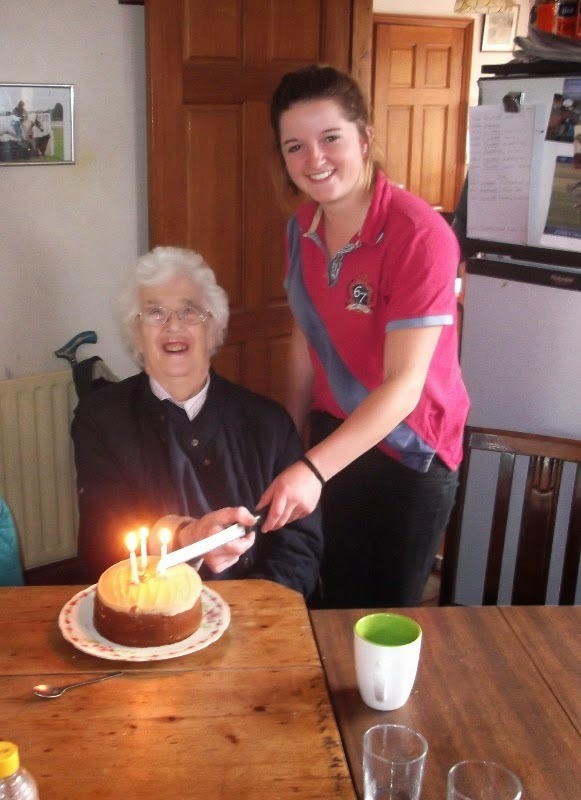 Rosemary and Katie cut the cake. It's not just humans who enjoy a rest in the sun. 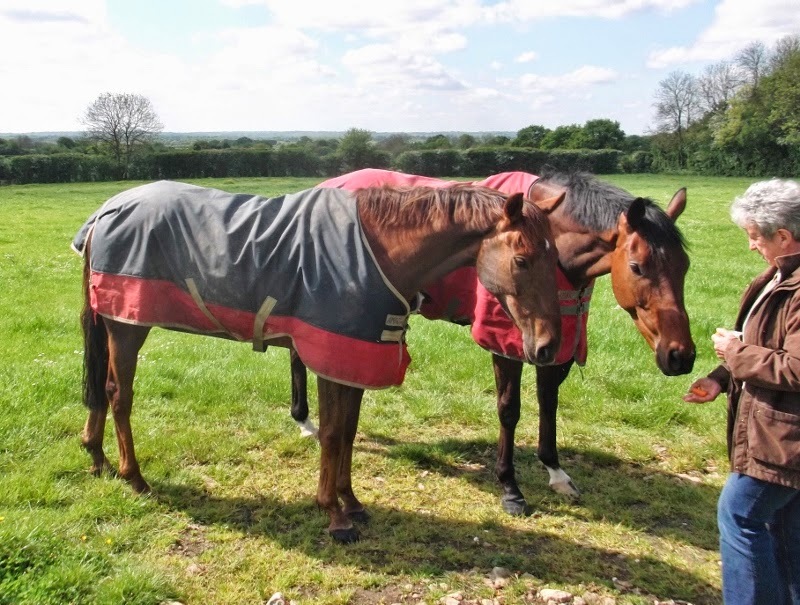 Most of the National Hunt horses are now enjoying a rest out at grass in the sunshine. Pictured below, Itoldyou and Clonusker get a carrot.